A lovely addition to our large selection of antique beds. 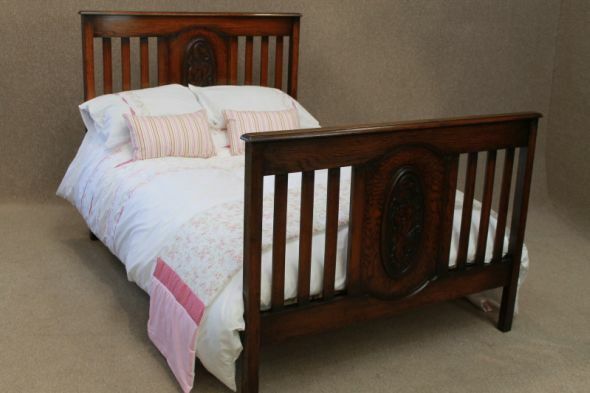 This beautiful solid English oak arts and crafts influenced double bed is in excellent condition, and comes complete with a newly made pine bed base; all that is required is a standard double mattress. The bed would grace any period interior, as a stand-alone piece or to match up with existing pieces of arts and crafts furniture.